The greatest asset we can deploy in the service of growing yours will always be profoundly human. We are here to intimately understand your personal motivations and customize a strategy that will help you achieve great financial returns. As a Kingwest founding partner, Richard is the originator of the firm’s investment strategies. Richard is an industry expert with over three decades of experience, and has invested through 7 major market cycles. You’ll see him regularly featured on national business and investment news programmes. He has authored articles for major industry publications and he makes note to help mold future minds as a guest lecturer for the Value Investing Program at the Rotman School of Management. Richard received a BSc in Economics from the Wharton School at the University of Pennsylvania. Later, he pursued post-graduate studies in Economics and Finance at the College de France and the Sorbonne Université de Paris. Today, he has risen as a respected figure of the market and holds membership at the Toronto Society of Financial Analysts. 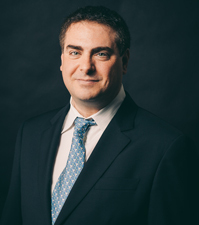 Tim oversees the fixed income investment strategies and guides overall risk management. 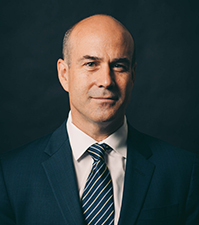 He chairs the Portfolio Management Committee and leads the marketing and sales initiatives for all of our partners, private and institutional clients. Tim began his career in investment research and business development at Templeton, Midland Walwyn and Spectrum United. From there he launched his own company in 1997 — Northwest Mutual Funds — where he stood as the co-founder, Chief Investment Officer and Senior Vice President. In 2003, he brought his expertise to Kingwest. Tim received a BA in Economics from the University of Western Ontario and an MBA from the University of Toronto. He also holds the Chartered Financial Analyst (CFA) designation and is a member of the Toronto Society of Financial Analysts and the CFA Institute. 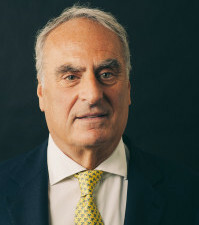 Douglas serves as a member of the Portfolio Management Committee, Investment Committee and is responsible for the analysis and valuation of potential investment opportunities. Prior to joining Kingwest in 2017, Douglas was a senior member of the Global Equities team at OMERS Capital Markets. Earlier in his career, Douglas founded a investment advisory business, built a venture funded medical device company, and designed products for IDEO Product Development. Douglas received a BS in Mechanical Engineering at the University of Illinois and a MS in Manufacturing Systems Engineering at Stanford University. He also received an MBA from INSEAD (Singapore/France) and holds the Chartered Financial Analyst (CFA) designation. Lionel has been with Kingwest since 2002, and is responsible for analysis and valuation of potential investment opportunities. Lionel also monitors the firm’s overall portfolio risk and construction. Prior to joining Kingwest, Lionel worked for a major multinational technology company in their financial service group, managing systems for international banks. His received a BA from Wittenberg University, an MBA from the Theseus Institute in France, and completed the Executive Education program in Value Investing at Columbia Business School. Lionel also holds the Chartered Investment Manager (CIM®) designation. Jessica is responsible for developing and monitoring strong relationships with prospective and existing clients at Kingwest, and is a member of the Portfolio Management Committee. She is involved with servicing, marketing and sales initiatives for all of our private and institutional clients. 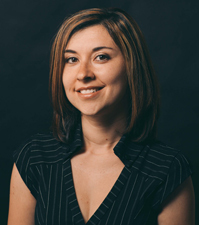 Prior to joining Kingwest in 2010, Jessica worked for the Canadian Investor Protection Fund. She received an Honours BA in Business Economics from York University, Glendon College. Jessica has also earned her Chartered Investment Manager (CIM®) designation. Jennifer joined Kingwest in 2016. Jennifer is a member of the Client Relationship team and is responsible for retail and institutional client servicing activities in Canada and abroad. She provides support with marketing and sales initiatives to the Portfolio Management Committee. Steve is responsible for the financial accounting and regulatory reporting of the firm. He has 25 years of experience in the industry and became CFO at Kingwest in 2013. 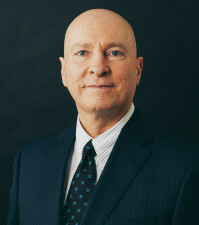 Prior to Kingwest, some of Steve’s experience included time at Gordon Capital as Vice President and Controller and at Loewen, Ondaatje McCutcheon Limited as Chief Financial Officer and Secretary. Steve holds the Chartered Accountant (CA) and Chartered Professional Accountant (CPA) designations and has a Bachelor of Commerce (Honours) from the University of Windsor. Laurinda oversees the day-to-day operations of Kingwest and ensures the effective administration of all client accounts. She also oversees the Compliance and Finance departments, and sees that Kingwest complies with all IIROC rules and regulations. Laurinda joined Kingwest in 2006. From 2001 to 2006, she worked in the Mortgage department of National Bank of Canada. Laurinda received a BA in Administrative Studies from York University.